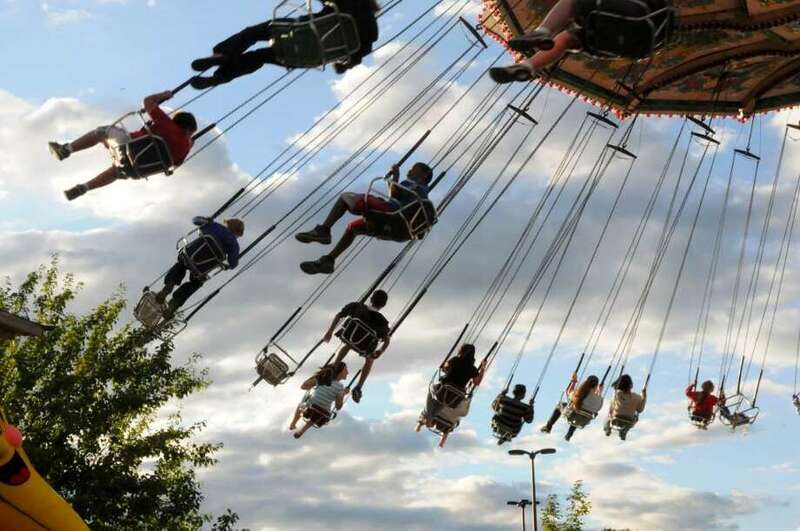 The Annual Danbury City Fair is back and running everyday now until June 5. Find out more. Catch the Bridgeport Bluefish as they take on the Sugar Land Skeeters Friday, Saturday, and Sunday at Harbor Yard in Bridgeport. Find out more. "X-Men: Apocalypse" opens in theaters on Friday. Check out the trailer here. John Singer Sargent’s “In the Luxembourg Gardens,” 1879, is featured in “Electric Paris,” on view at the Bruce Museum in Greenwich from May 14 through Sept. 4. Find out more. Reggae musician Mishka will perform at Fairfield Theater Co. on Friday. Find out more. “Happy Days” is on stage at Westchester Broadway Theatre through Sunday, July 17, in Elmsford, N.Y. Find out more. Connecticut's fishing season kicked up this week. Make sure you get out there on the lake or Sound this weekend and get reeling! Here's a quick breakdown from DEEP of where to fish in Connecticut. The RBS Food Truck Festival, sponsored by the Race Brook School, rolls into Orange on Friday. Find out more. Goodspeed Musicals’ “The Roar of the Greasepaint - The Smell of the Crowd” is on stage at The Terris Theatre in Chester, through Sunday, June 26. Find out more. Adam Sandler, David Spade, Nick Swardson, and Rob Schneider stop in for "The Do-Over Tour" at Mohegan Sun on Friday. Find out more. More Farmers Markets kick off their seasons this week! Rowayton begins its season on Friday. Find out more. Sharon Jones & the Dap-Kings perform Friday at College Street Music Hall in New Haven. Find out more. Rusted Root will bring their unique fusion of rock and other world styles to The Ridgefield Playhouse on Friday. Find out more. Check out the ropes course for some zip-lining and climbing fun at Jordan's Furniture. They're also serving up ice cream and gourmet pizza. Find out more. Salsa dancers get ready. CT Salsa Fest is coming to Stamford's Marriott Hotel and Spa on Friday, Saturday, and Sunday. Find out more. Redding's Memorial Day Parade is happening Saturday. The parade steps-off from Redding Elementary School at 11:30 a.m. Find out more. The Greenwich Town Party is this happening—rain or shine—Saturday at Roger Sherman Baldwin Park. Find out more. Meet the stars of the hit shows "The Bachelor" and "The Bachelorette" at Foxwoods Resort and Casino's Bachelor Weekend event on Saturday. Find out more. Check out all the delicious eats at the Milford Food Truck Festival and Open Air Market on Saturday and Sunday at Eisenhower Park. Find out more. Brother Jimmy's in downtown Stamford is holding a "Heroes Event" for all service members, veterans, and first responders on Saturday. Bring proof of service and enjoy a complimentary buffet. Find out more. Comedian Bill Engvall will perform at Mohegan Sun on Saturday. Find out more. Happy Acres Farm of Shelton is bringing back their Memorial Day picnic on Saturday. Find out more. New Canaan Farmers Market's "Summer Farmers Market" season is now in full swing. Head down Saturday to the Old Center School parking lot for your pick of local crops. Find out more. The Great Mexican Cookoff, featuring three local chefs, takes place Saturday in Easton, to benefit the Rebirth Arts Festival. Find out more. Remember Jones and his 12-piece band will host a Super-Soul Dance Party on Saturday at The Acoustic in Bridgeport’s Black Rock section. Find out more. “Flutter Zone,” featuring 100s of free-flying butterflies, opens to the public on Saturday at the Maritime Aquarium at Norwalk. Find out more. Comedian Ahmed Bharoocha will perform at Comix Mohegan Sun, Thursday through Saturday. Find out more. Check out some of Connecticut's best hiking trails this weekend. Here's our list of top spots to check out. Candlebox is performing at Mohegan Sun on Saturday and holding a signing event right after. Find out more. The Blind Rhino invites you to their Memori-All Day Party on Sunday. Find out more. Ansonia's "Star Spangled" Memorial Day Parade is on Sunday at 2 p.m. The parade steps-off from Nolan Field. Find out more. Pop sensation Selena Gomez will make a stop at Mohegan Sun on Sunday. Find out more. The RCA Memorial Day Parade is Sunday at 12 p.m. Parade steps-off from Downtown Community Center in Rowayton. Find out more. The Great Aquarion Barnum Festival Road Race takes place on Sunday in Bridgeport’s Seaside Park. Find out more. Every Sunday, The Spread in Norwalk is offering half priced wines for all bottles $100 and under. Find out more. Grab your friends and get your singing voices out for karaoke from 8:30 p.m. to close at the Sundown Saloon in Greenwich Sunday. Find out more. Brookfield's Memorial Day Parade steps-off from Brookfield High School on Sunday at 1:30 p.m. Find out more. Looking for a weekend date idea? To ease the stress, CT Travel put together a list of some of our favorite Connecticut date spots, broken down by what kind of date you’re planning. Milford's Memorial Day Parade steps-off from City Hall on Sunday at 2 p.m. Find out more. Grab a drink and enjoy the rock/blues sounds of New York City-based songwriter Alejandro Meola at The Fez in Stamford on Sunday. Find out more. Foxwoods Resort and Casino is kicking off their "Liquid Sundays" pool party season with Christina Milian on Sunday. Find out more. Monroe's Memorial Day Parade steps-off from Lower Elm Street at Route 111 on Sunday at 2 p.m. Find out more. Square One Theatre Co. ends its 26th season with “Motherhood Out Loud” through Sunday at Stratford Academy. Find out more. In a scene from “Dirty Dancing,” dance instructor Johnny (Christorpher Tierney) dances with a former partner. The musical is playing in Hartford through Sunday. Find out more.